The first year PUC examination is over and the kids rush to embrace the demands of the forthcoming year. The societal obsession is such that there just arent any holidays although the poor souls would really love a break. The enrollments to the new tuition classes that would, successfully, get them across this seemingly most important threshold of life are on and soon they will be immersed in endless equations, formulae, diagrams, classification, lines of code, constants, theories and corollaries. 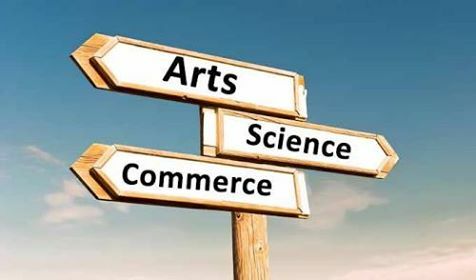 While this is true for those that have opted for the science courses and partly for those that have taken commerce, the students of arts are facing a different kind of boredom. They have nearly three months of time to kill. I only wish it were different since it really hurts to see the sheer effort that one section is going through and the absolute nothingness that the other will endure. In all given probability, either side will go on to reap similar dividends if they manage to keep their heads in place. Another thing that merits mention is the way in which these sections of academia are perceived. While the science stream gets absolute respect if not a seeming reverence in the approach from society, the commerce faction gets a little less and the arts segment almost nothing in terms of consideration as admirable; I believe and most will later realize that it all amounts to the same. Consistent effort is always rewarded. This societal discriminations symbolizes the heights of intolerance and in the midst of this nation wide debate on intolerance, I think this is the one that merits maximum attention. Wake up parents, I know it’s your call but do pay heed to what you children themselves would like to do. Each domain has its opportunities of excellence and nothing better than excellence in the domain that the child would live and love as a pursuit. This is the beginning of a series of articles on the issue of the right choice in education. The Author is Training & Development Officer, KLE Society and Chief Mentor and Academic & Career Consultant at Methodz (Innovations in Learning). sammer malji very well said.